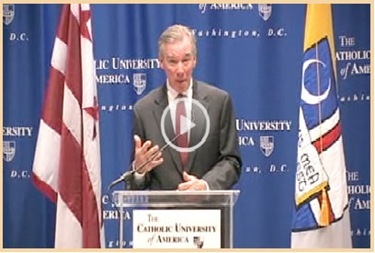 This week, John Garvey was announced as the 15th president of Catholic University. Many of you may know of him because he is currently the dean of the law school at Boston College. 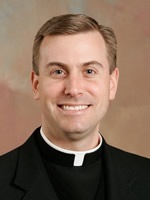 Dean Garvey will be succeeding Bishop-elect David O’Connell, who will become coadjutor bishop for the Diocese of Trenton. 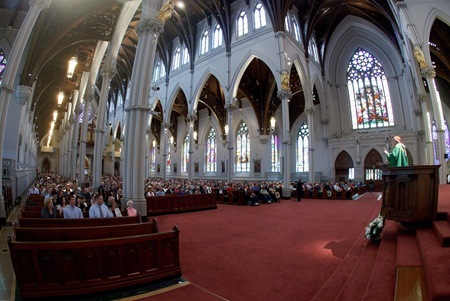 For the last 12 years, Bishop-elect O’Connell has done an extraordinary job in expanding the university, particularly the undergraduate programs, increasing the number of buildings and its endowment. Most importantly, however, he has solidified the Catholic identity of the university by introducing a strong campus ministry, promoting vocations and pro-life activities and strengthening the devotional life of the university. He even introduced RENEW into the life of the campus, which brings students together for prayer, Scripture, Christian services, and friendship. 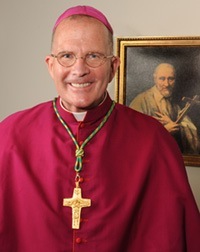 Bishop-elect O’Connell’s departure is bittersweet for the university, although we are very pleased the Holy Father has chosen to name him as the coadjutor bishop of Trenton. 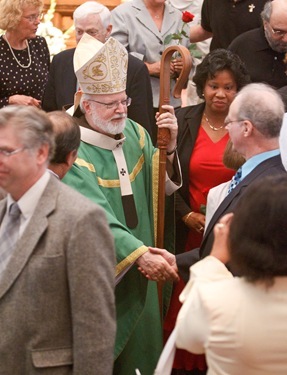 Bishop-elect O’Connell is going to a large diocese where his great pastoral talents and abilities will be of wonderful service to God’s people. In the process of choosing a new president for the university, the search committee was headed up by the president of the board of trustees, Archbishop Allen Vigneron of Detroit. They worked with an executive search firm that identified about 150 different possible candidates. Many of those were interviewed, and final recommendations were made at our board meeting last week. It was very consoling that so many great candidates came forward and were interested in the position. 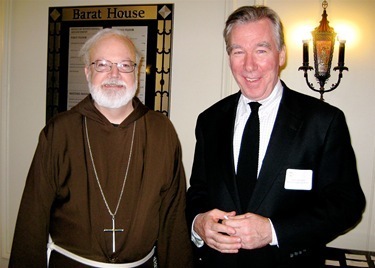 Dean Garvey has been an important figure at Boston College and has done so much to strengthen the Catholic identity of Boston College. 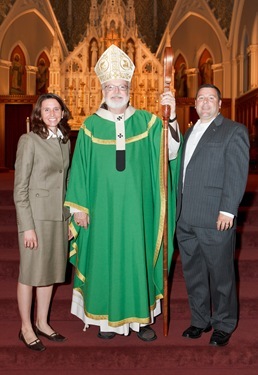 We feel sure that he will build on the great accomplishments of Bishop-elect O’Connell. 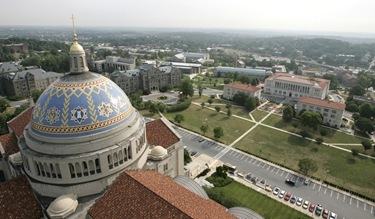 Catholic University is the U.S. bishops’ university. 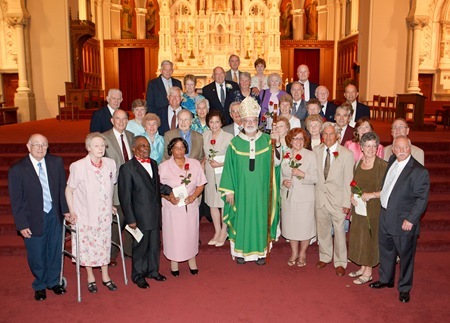 It is the school of higher learning that trains so many of our leaders in the Church in theology, philosophy, and Canon Law and so has a very special place in the life of the Church in the United States. This is an important appointment and of course Dean Garvey has our prayers. We look forward to Catholic University continuing to be an example of what Catholic higher institutions of learning can be — faithful to the Church’s Magisterium and our mission of evangelizing the culture. 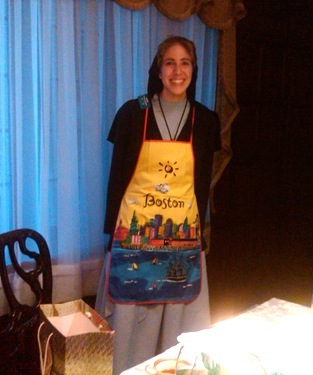 Last week, I hosted a farewell dinner at the Cathedral for Sister Anthony Mary Diago. 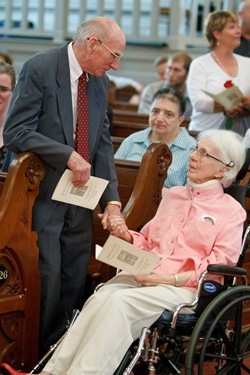 She was on the administrative staff in my office at the Pastoral Center. 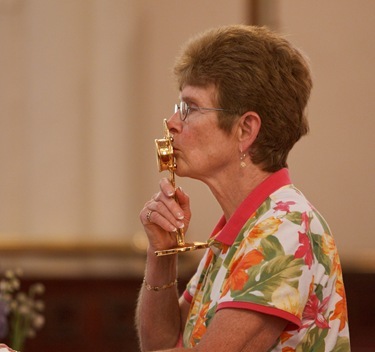 Sister Anthony Mary, a member of the Religious Sisters of Mercy of Alma, Michigan, is now being assigned to Sydney, Australia, where her community has a house. She will be working on her doctorate in education there. The Sisters of Mercy put great stress on the academic formation of all their religious. We are very sorry to see her go. It was wonderful having her in the office. 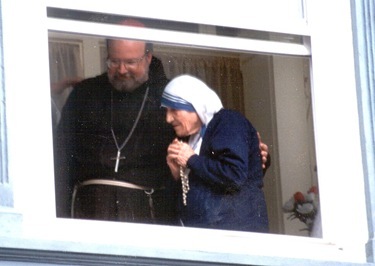 She was an extraordinary presence as a religious woman, particularly through her kindness to people who would call or visit. Also, her ability to speak Spanish was a great asset for the office here. We wish her God’s speed and much happiness Down Under. 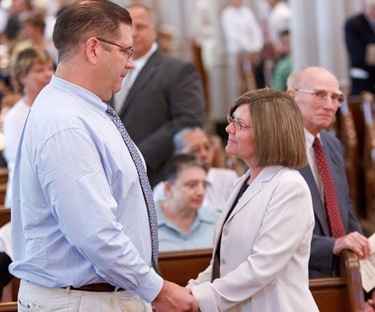 On Sunday, I celebrated our annual wedding anniversary Mass at the Cathedral. 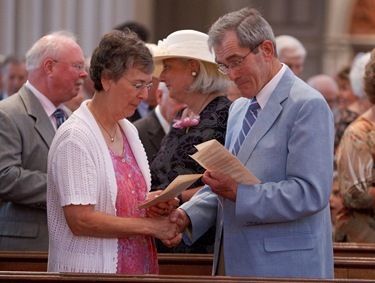 Each year, we have a Mass for couples who are marking their silver or golden wedding anniversaries, and people who are celebrating 60 years of marriage as well. 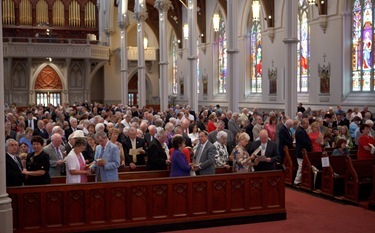 This year, the Cathedral was filled, it was certainly one of the larger groups we’ve had for the Mass. 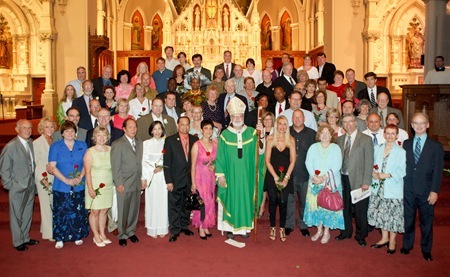 It’s always a wonderful event and an opportunity for us to showcase the centrality of the Sacrament of Marriage in the life of the Church in today’s world, a world where more people are postponing marriage or foregoing marriage, where marriage is under attack because of the divorce mentality, the prevalence of cohabitation and even attempts to redefine what marriage is. 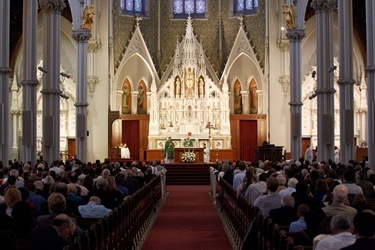 The Church must be a very clear voice in defending traditional marriage and holding this up as an ideal for our people, which for us is a sacrament, a sign of the love and the unity that unites Christ and His Church, His bride. 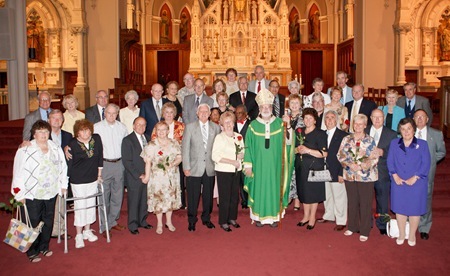 We’re so grateful to our marriage ministries coordinator, Kari Colella, who did a wonderful job organizing this celebration, and to her committee as well, for working so hard to implement the recently-issued bishops’ pastoral on marriage. Kari and her colleagues are in the process of rolling out a new marriage preparation program for engaged couples. “Transformed in Love” is a 16-hour program that consists of presentations, reflections, prayer, and Mass, and discusses various aspects of marriage like communications skills, fertility awareness, finances, and decision-making. After that, it was down to St. Petersburg for the spring meeting of the U.S. bishops. There is a Spring meeting each year, though every few years it is held as a retreat rather than a business meeting. This was a retreat year. 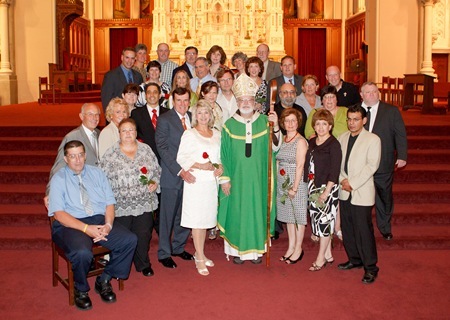 The theme of the gathering was relationships between priests and bishops. There were many wonderful speakers during the course of the week including Archbishop Dolan, who gave a wonderful opening talk. 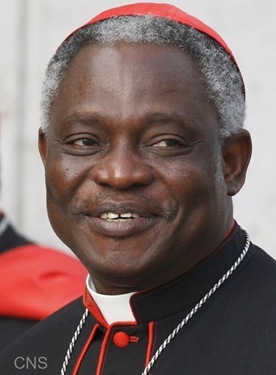 The retreat master for the week was Cardinal Peter Turkson, who had been with me in the Virgin Islands and is an old, dear friend. He used to spend his summer vacations helping us out when he was a student in Rome. He is now the head of the Pontifical Council on Justice and Peace. 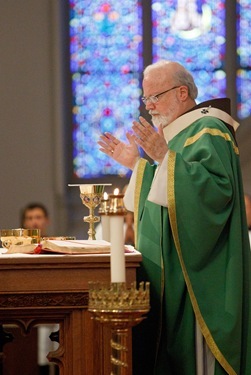 He is a Scripture scholar, so each day at lauds and vespers — and occasionally in some of the homilies he would give — there were always beautiful expositions of the Scriptural passages in the liturgy. We also had talks by a number of people. One, in particular whom I had never heard before, but I thought did a wonderful job, was Archbishop Thomas Collins of Toronto. Also, Archbishop Robert Carlson of St. Louis gave an excellent reflection on the unity in the Church. 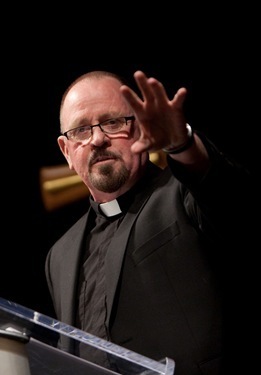 Father Ron Knott from the Archdiocese of Louisville, who addressed our priest convocation here in Boston last year, was one of the responders to Archbishop Carlson’s talk. My committee was in charge of organizing Thursday’s activities. 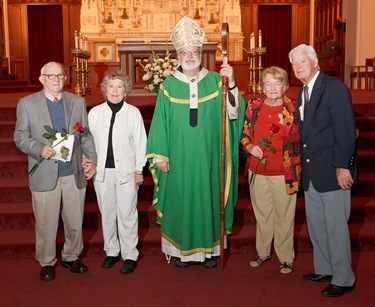 We had invited Archbishop Carlson and Father Knott, and I celebrated the Mass and preached the homily. We’re very grateful to Father David Toups, who with this meeting was ending his service in the bishops’ Office for Clergy, Consecrated Life and Vocations. 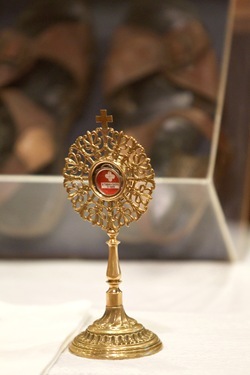 He is returning to him diocese of St. Petersburg. St. Petersburg certainly was very hot! But the meeting was, I think, a great success. 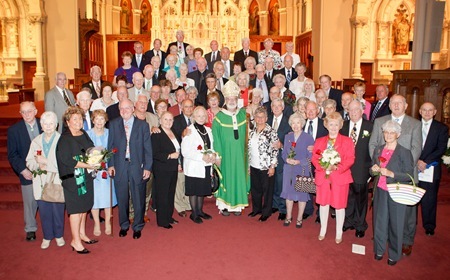 We had a very good turnout of bishops. It’s an opportunity for the bishops to be together, to interact with each other, to get to know each other better, and to build a spirit of unity among our bishops. They had two films that they showed, The Blind Side and Invictus. Both of them had a great message, and the bishops enjoyed seeing them. I had seen Invictus before my meeting in St. Petersburg, and I thought it was a very moving portrayal of the leadership of Nelson Mandela and his realization of the importance of unifying people rather than provoking polarizations and divisions among people. As I was there, our Celtics were playing in the NBA Finals against the Los Angeles Lakers. 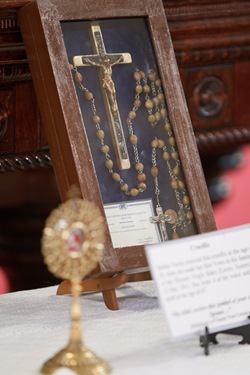 Cardinal Roger Mahoney, of Los Angeles, made a wager with me about the series. Sadly, as you now know, we lost. I am going to send him something typical of Boston, perhaps some lobsters. He was going to send California cathedral wines had the Celtics won. Since I am not a drinker, I suppose I didn’t really lose anything. Of course, the result was disappointing but it was an honorable defeat. At least it wasn’t a rout and there is always next year. While I was there, I was able to visit Mimi Murphy who is in an assisted living facility in Bradenton. Mimi Murphy worked for over 30 years in Catholic immigration services for the USCCB and was very helpful to me in my ministry with immigrants because of her incredible knowledge of immigration law and her ability to help people in trouble to straighten out their immigration status. She’s had some health problems, but it was very good to see her. I had a wonderful visit with her. 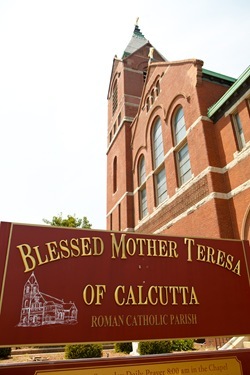 Blessed Mother Theresa of Calcutta Parish in Dorchester had relics of Mother Teresa on display there on earlier today. 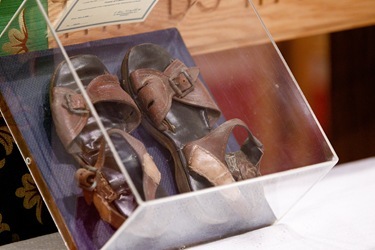 The presence of her relics here are fond remembrances of the wonderful visits of Mother Teresa to our archdiocese. 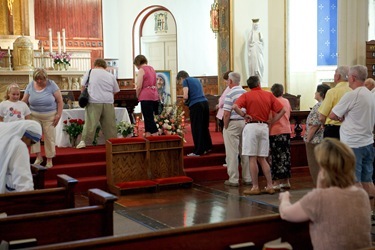 When I celebrated Mass on the anniversary of her death one year, I asked how many people had met her personally. Virtually, everyone’s hand went up. It was a great sign of the personal connection so many people had with her. 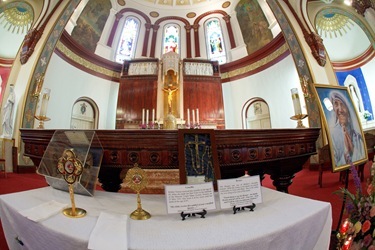 Having her relics here is a great privilege for us and rekindles that affection and sense of connection to her. 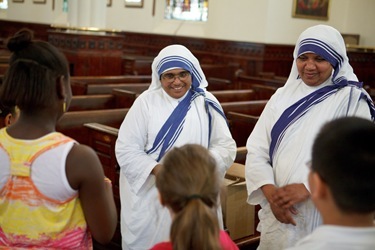 Over the course of many years it was my privilege to be with Mother Teresa on several occasions, as a young priest during my time teaching at Catholic University, as Bishop in the West Indies and in hosting her visit to the Diocese of Fall River. 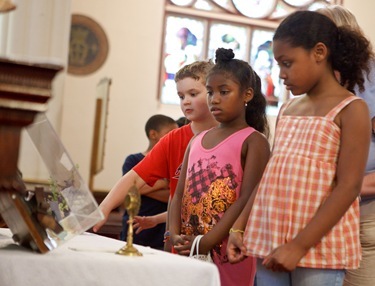 This is the time of year for sacraments — confirmations, weddings, and first Communions. 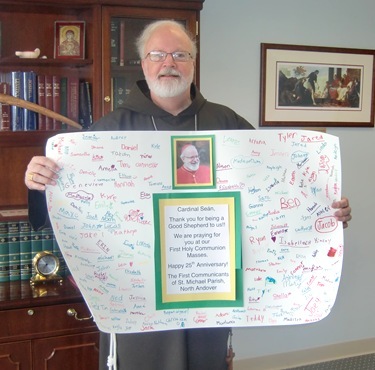 I was very happy that the first Communion class at St. Michael’s in North Andover sent me this card.